We are striving for a world class education, training and care for everyone – whatever their background. That’s why we protected the budget for schools, and there is more money going into our schools than ever before – a record £43.5 billion by 2020. This is one of several statistics in the OECD report that demonstrate the UK is among the highest spenders on education at primary and secondary level, whether you look at spend as a share of GDP [table C2.2], spend as a share of government spending [table C4.1] or spend per pupil [table C1.5 (web only)]. 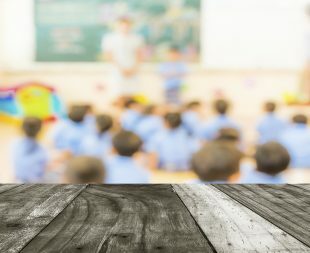 Other independently verified statistics show the government is investing in schools – the IFS found that real terms per pupil funding in 2020 will be over 50 per cent higher than it was in 2000. It is true to say that the OECD has ranked the UK as the third highest for education funding [table C2.1] – this includes tertiary and private education for every country. Those same children will receive an average of £171,000 when they move to secondary school – up from around £161,000 a decade ago and £109,000 in 2000. But we recognise that alongside this increased funding, we’re asking schools to do more and that they face cost pressures. That’s why we are working with school leaders to bear down on these pressures and help them make the best use of their resources. we are helping schools manage and make the most of their budgets – including the 20-30% of budgets not spent on staffing – including launching a new free website for schools to advertise vacancies. There are no great schools without great teachers and we want to recruit and retain brilliant teachers who are fairly rewarded for the vital work they do. Earlier this year we announced that classroom teachers on the main pay range can benefit from a pay rise of up to 3.5% – or between £800 and £1,366. This will be backed by £508 million government funding. Those on the upper pay range and leadership positions will also benefit. Teaching still continues to be an attractive career. The average classroom teacher earns £36,100 and the average classroom teacher in their 20s is paid £2,000 more than the average graduate (£27,000 vs £25,000). Teachers with 15 years’ experience not only earn more than the OECD average, but also more than their counterparts in European education systems, such as France, Italy and Sweden. We will continue to work with school leaders and teachers to raise standards even further in our schools.